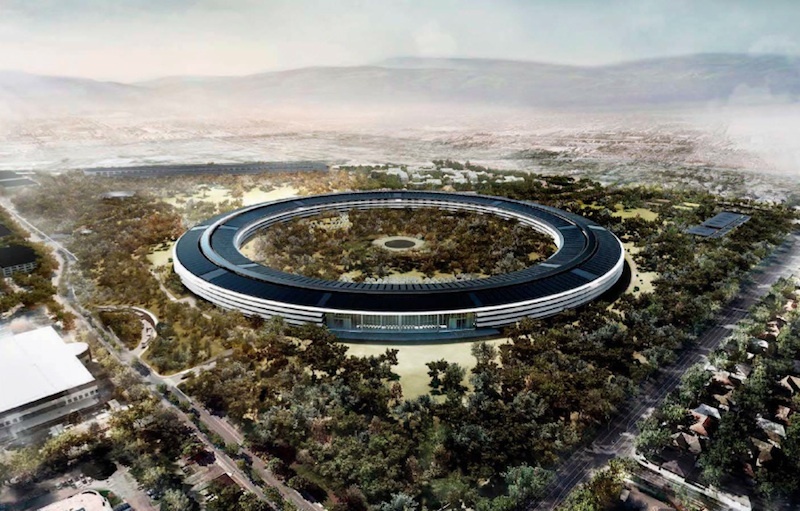 The Planning Commission of Apple's hometown of Cupertino, California approved Apple’s plans for the company's new "Spaceship" campus Wednesday night, a day after the company made a presentation to the community at a public discussion, reports CNET. The next steps in the process will be a vote by the Cupertino city council on October 15 along with a final vote on November 19, and the company remains on track for a 2016 opening of the new campus. Just like any other Apple presentation, this one came with a slickly-produced video. Dan Whisenhunt, the company's director of real estate and facilities, introduced a video featuring lead architect Norman Foster and others in charge of the site's development. One gem from the film is that the site's now infamous O-shaped structure was not the original vision. "It really grew into that born out of an intensive process," said Foster in the video. The plans were also inspired by Stanford's campus. Steve Jobs originally pitched the idea of a new Apple campus to the city of Cupertino in June 2011, his final public appearance four months before his death. The company submitted revised plans campus in December 2011, but by April of this year was said to be one year behind schedule on construction and roughly $2 billion over budget. Among the unique details contributing to the project costs were characteristics such as 6 square kilometers of curved glass, strict requirements on gaps between surfaces, and polished concrete ceilings cast in molds as opposed to being cast in place. Apple again submitted revised plans for the campus with a new phased construction plan in late April 2013, and released an economic impact report on the future campus this past June detailing both main construction phases, which included guidelines for employees capacity, estimates of tax revenue for the city, and public improvements. They should plant apple trees in the middle. And let people sit under them. You know, for good ideas. looks amazing! but wouldn't it be kind of a pain to walk half the circumference to get to the exact other side? I guess you could walk outside and cut across since the weather is always perfect. it's like the pentagon for tech..but it's a sphere. The building is not a sphere. Planet Earth is a sphere. A baseball is a sphere. This is a ring, or toroid, if you prefer. Having a circle shaped building is much more efficient than having a typical box shaped one. Like you said, you could just cut across. Imagine your in a square shaped building and the halls all run on each side. If you want to get to the other side of the building, you'd have to walk up/down or left/right to the nearest corner, make your way across and then back down/up or right/left. Being that the campus is shaped as a circle, the farthest distance you could ever walk to get to another room is equal to the diameter of the circle. Steve is not around and they may be only running on inertia. Big changes took place since that was envisioned. Burger King built a sprawling headquarter in South Miami in the 90's and ended up being a big waste of money. They forecasted their needs wrong. That building is not for the needs of Apple in 3 years. It's for their needs today. They keep renting independent buildings because they are constantly adding more people. So right now, people are working on too many different buildings all around Cupertino, which is bad. I wonder if the company would have segways available to get to meetings.